Here's some new music to tingle your earbuds. My Featured Artist this week is actually a hybrid of two artists, who have joined forces for a 2014 tour together. Those two bands are McFly and Busted, two of the UK's most popular bands in the noughties. Busted split in 2005 but have made a comeback just for this tour minus Charlie Simpson, the lead singer of the band who very recently announced that he paid a six-figure sum to cut all ties with Busted, but will always be remembered as their lead. 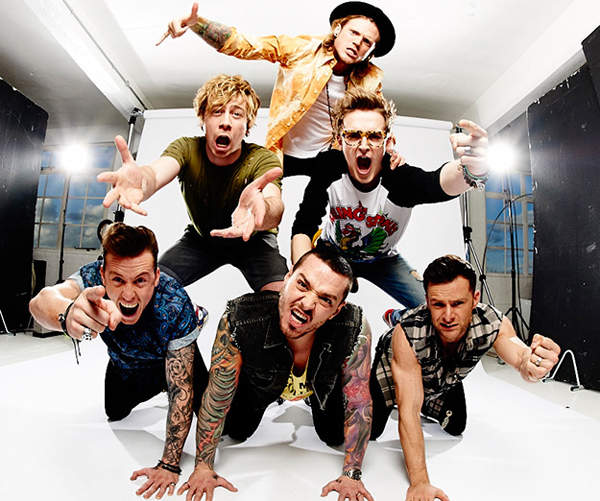 McBusted have announced a new single and all their UK tour dates which can be viewed in the links below. You can check out the dates and buy tickets to the McBusted 2014 tour HERE. You can also pre-order their single Love Is On The Radio (McBusted Mix) [feat. Busted] HERE. Follow their updates on twitter HERE.